Do you want that true barbecue taste in your steaks? 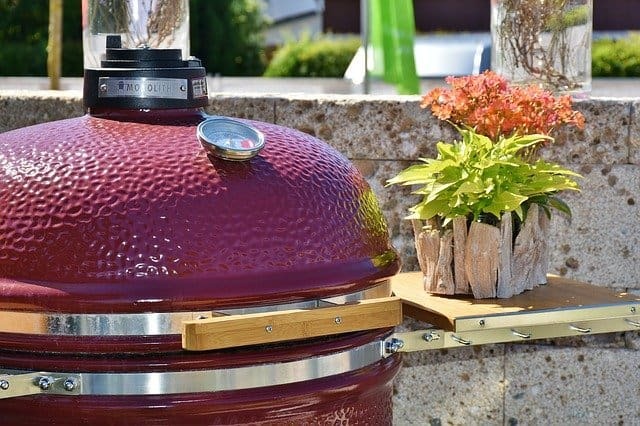 Ceramic grills are versatile outdoor cookers that are just the best for smoky barbecue flavor. They are also great for other things. The benefits and features do include smoking and grilling of bulk meats and vegetables and the promise of mouthwatering flavor and tenderness. But, they are also perfect for pizza and bread making. People just love loading up the grill on a weekend! A ceramic egg grill is another name given to these because of their oval shape. The quality features of these ceramic outdoor cookers come at a price. But, if you’re wanting to know the best ceramic grill for the money, read on. 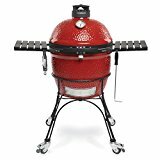 In this guide, I compare features of popular ceramic charcoal grills and then follow on with ceramic smoker grill reviews. I also cover what to look for in any ‘egg’ ceramic grill. 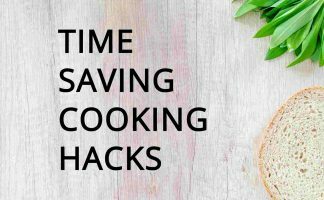 You can choose to slow cook a rack of ribs at 230°F for four hours or bake a pizza at 500°F for 20 minutes in a ceramic barbecue grill. The best egg ceramic grills have two draft doors (or vents). The bottom horizontal sliding door of the ceramic grill works together with the top swiveling door to regulate the updraft and flow of air. This allows you to adjust the temperature of the cooker. Many consider charcoal grills as the best for flavor enhancement since it produces a distinct smoky grilled taste. Lump charcoal enhances the smoky aromas and flavors of the food the strongest. The food cooked on a gas barbecue cannot compare as there is no smoke that yields that the true ‘barbecue flavor’. 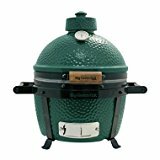 The Big Green Egg is cast from ceramics that are designed to reflect heat and reach temperatures of up to 650 °C (1,202 °F). It is said that this high-quality ceramic was initially developed by NASA for their rocket heat-shields. Made in North America, this green ceramic grill uses lump wood charcoal, which is best as charcoal ceramic grill briquettes can have additives that hurt the flavor of the food. Big Green Eggs are perfect as a charcoal barbeque for smoking or grilling. With the right accessories, you can even bake bread or cook a pizza. They come in seven sizes with the largest being able to cook 35-40 burgers or 14-16 whole chickens. The MiniMax is portable and an ideal sized ceramic BBQ grill for camping, poolside, and is perfect for table placement. 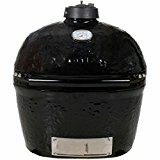 This is a relatively small ceramic grill, but still, it is large enough to cook a 12-pound turkey, 4 burgers, 2 steaks, and a rack of rib. Cons: The price sets this ceramic kamado grill apart. Click here to check out the GBE MiniMax. 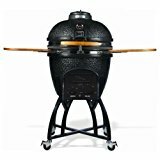 Here we have the Pit Boss ceramic BBQ grill, kamado style. It is a ceramic smoker grill with upper and lower cooking vents. The thick ceramic body ensures good heat retention. Lump charcoal is best for this cooker. It has a large damper for airflow control and two-tier stainless steel cooking racks. There is roomy cooking space. As most Pit Boss ceramic grill reviews will tell you, this grill is a great value option when compared to the more pricier brands. Cons: Brackets for mounting the side tables aren’t the best quality metal. This Kamado Pro ceramic charcoal grill is said to heat rapidly, with an expected temperature rise of 500 degrees, from 200 to 700 ºF, in minutes. This grill features an ash drawer and vent dials that are all in one. The C-Series seen here has an integrated smoker. Compare this to the S-Series, which is a cheaper charcoal grill without this feature. The Vision kamado ceramic charcoal comes with a lifetime warranty on all ceramic parts and 5 years for metal parts. Cons: The side shelves on this may not last the life of the grill. Minor air leaks through ash drawer and vent dials. This ceramic grill has a large space for cooking to cater for large family get-togethers. Can handle a range of cooking temperatures. It also sports a thick ceramic shell with a glazed exterior finish. This gives it durability and easy cleaning along with the ultimate in temperature retention. A hinged lid with an extra heavy duty spring makes opening and closing the Kamado Joe Classic II cooker a breeze. This is a very efficient unit giving you great quality and precision in BBQing with it being ready in 10 mins for cooking. It has ceramic coated grill grates which make for easy cleaning. 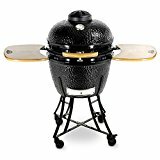 Primo ceramic grill reviews will tell you this kamado is big enough to cook a feed for 3-4 people and still have leftovers. Primo ceramic grill prices may seem expensive, but no more so than any good gas grills. How to Care For and Clean a Ceramic Grill? Ceramic grills are easy to clean. The few ceramic grill parts that need cleaning basically means wiping the ceramic grill cover and cleaning the grates. That’s all you need to worry about. In caring for the grill, don’t use lighter fluid. How to Clean Ceramic Grill Grates? You don’t need a special ceramic grill cleaner. Cleaning ceramic grill grates are done by simply scraping. The charcoal compartment and chamber below collects the excess ash. The removable ash pans make removing the ash a breeze. And if looking for ceramic grill recipes, try this ceramic grill turkey recipe. Some brands include all-weather covers, but if not it’s advisable to get one to keep your cooker looking and performing its best. This clips on and revs the charcoal bed into red hot in a matter of minutes. Cons: These cookers are bulky and heavy. They are also expensive. 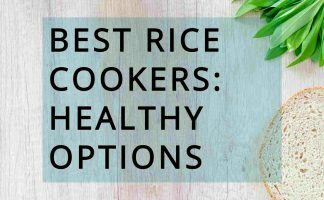 But if you are wanting a good outdoor cooker that will last the test of time, these have qualities you need because you want it to last. You want something that is rugged enough to endure the outdoor conditions year after year. See also my guide on the best ceramic cookware here. And, my guide on the best ceramic frying pan, here, or you might like to know: what are the sharpest knives, see here. 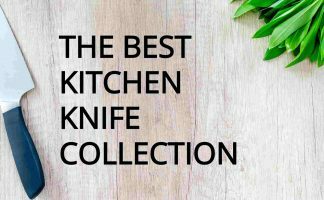 Or, get to know the best way to sharpen ceramic knives. 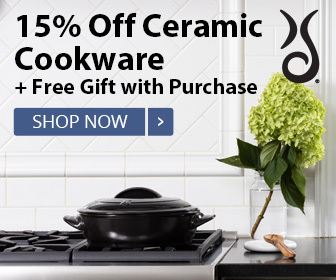 Check out our review on pure ceramic cookware. I like the fact that ceramic grills make the food appears juicy and delicious without the worries of leaving dry after minutes of grilling while adding a smokey flavor into it. This is in fact one of the reasons why people grill the food-to enhance the flavor, quality, and texture of the food based on how it was cooked. Speaking of, we’re going to have a big family reunion and one of the suggested themes of our party would be barbecuing; I have to be sure that I don’t fail them which is why I’m preparing things in advance and buying all the stuff needed to make this possible. Buying a ceramic grill sure is a great idea so I’ll speak with my husband to help me look for a good-quality ceramic grill for our party. Hi Elsa, You are right about the locked-in flavor and juiciness. Hope hubby gives you the okay and you have the best ever party!